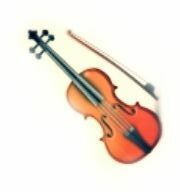 Professional musician , composer and violinist (I also play on viola) ! 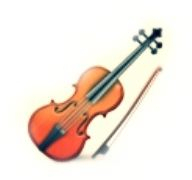 I teach violin/viola/piano/music theory and singing lessons in Amsterdam. 5 strings acoustic & eletric violin. MY SINGLE the "SOUL THRILLER" was realeased in August ! It is available on iTunes, CDBABY, Spotify and more music platforms :) CHECK IT OUT HERE! I do speak good Italian and French. INA IONESCU is an experienced, PROFESSIONAL MUSICIAN. and passions in improvising ! Violinna is a professional musician - violinist living in Amsterdam. Main role of her carrier was playing classical music with big orchestras and tour all over the world. Few years ago she has decided to went solo and to try new styles in music. That lead her to all kind of new things. and to play and improvise with friends musicians to try new styles as tango, cafe concert , meditative music and jazz. Her passion for music force her to brake the boundaries and go beyond what she has known and learned in past ! She taught herself to play on viola and in 2015 she started to play on 5 strings electric & accoustic violin.